We’ve had an exciting week! It may not seem like much to others but it sure was exciting to us. You see, about two months ago we started our first venture with raising a few chickens. It has been something I’ve wanted to do for some time now. But to tell the truth I was a little scared.Well, we finally decided to just dive in. I was excited to have healthy eggs (pastured and soy free) and not pay $6. a dozen at the farmers market! The Z’s were excited to have more “pets”. My dear husband worked hard preparing an area in the barn, he worked together with Big Z to make nesting boxes and clean and prep the area. DH worked a few weekends in a row building a place for the chickens to run outside and enjoy the bugs and sunshine. I was quite proud of how cute it ended up. So we started with three hens, 2 Buff Orphingtons named Henrietta and Gertrude and a Silver Laced Wyandotte named Mrs. Speckles. (yes, I just had to ask my 8-year-old what kind of chicken she was). We bought them as pullets so we didn’t have to raise them from chicks and didn’t have to wait as long for them to start laying. Mrs. Speckles rode home in Big Z’s lap and Gertrude just loves snuggles. They have been a joy to watch and Big Z has taken her responsibility seriously in keeping their coop clean and making sure they have food and clean water. Big Z has been very anxious over the last week in anticipation of the chickens to start laying. Well, it finally happened! 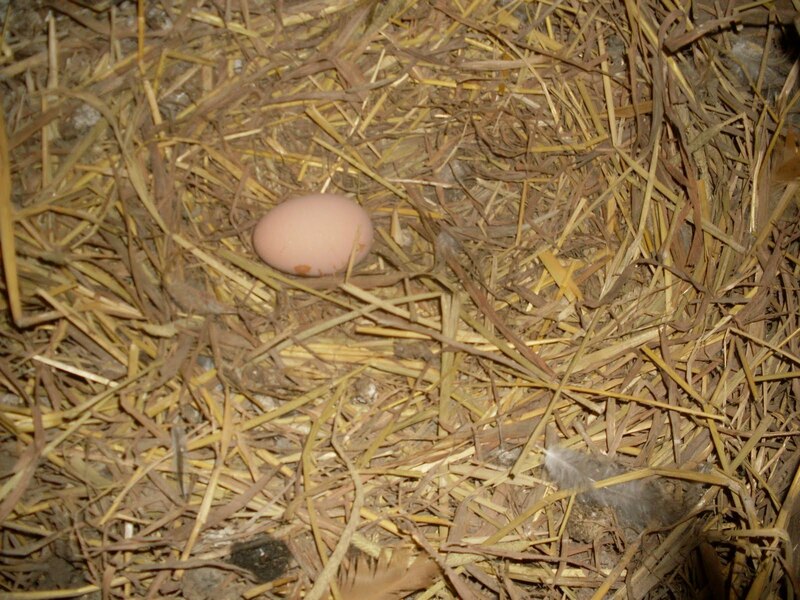 One night this week we went out to the barn to turn off their light and there it was, a beautiful light brown egg right in the center of the front nesting box! Big Z was so excited she started to cry! She was so overwhelmed with excitement tears swelled in her eyes, she started jumping up and down, stuttering and finally shrieked ” I love my chickens!” She joyously ran into the house to show her daddy and little brother. She wanted pictures taken and then she had to call and share the news with her grandparents. Now, this may not seem like such exciting news to most families, but this was headline news in our world. My Uncle in PA was called the next day, and then we had to tell the other set of grandparents and our other neighbors and friends too.You know what else? We were so excited about getting one single egg, that we went out this past weekend and got three more hens to add to our flock. So, yes, we have a grand total of six sweet little hens. We have a colorful little group of gals. 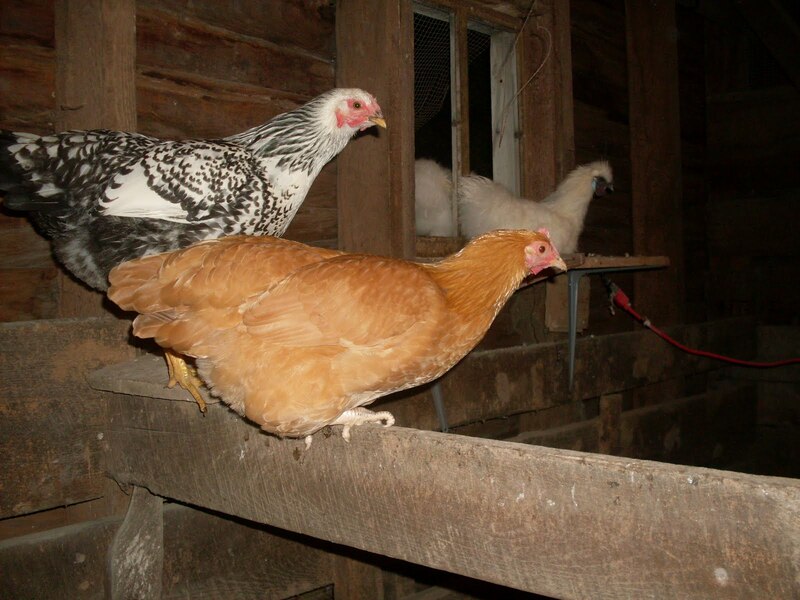 We added an English Sussex named Maid Marion (we just finished reading Robin Hood), a Cuckoo Maran named Cuckoo and a Golden Lakanvelder named Goldie. They all have their own personality and are so fun to watch. This has been a great learning experience for all of us. We like the backyard chicken website. It’s been a source of valuable information in learning the parts of the chicken, how to care for them and how to clean the eggs. 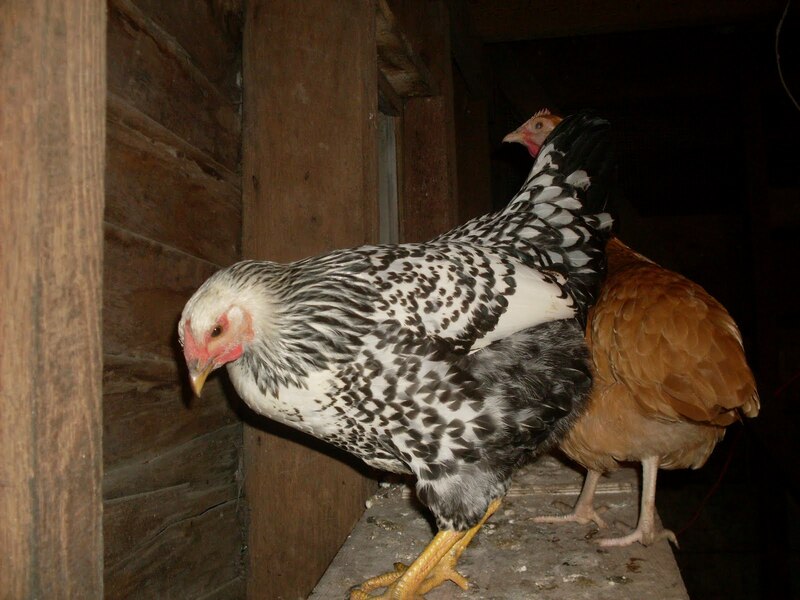 They also have forums where you can show off your flock or ask any questions. Our local library had a lot of great books to help get us started too. We are still learning as we go, it’s been great. This past week there was a recall on billions of eggs, I am so thankful that we didn’t have to fret about whether or not our eggs were included in the recall. I love the feeling of working to produce our own food, even if it’s one small egg at a time. This post is part of Simple Lives Thursday. What a great post! We recently bought three grown hens from a friend and just this past weekend we bought 31 10 day old chicks from a local hatchery. My oldest son LOVES his chickens. He says he’s their “daddy” LOL. These chickens crack me up with the things they do.I love the names you’ve given your hens as well. Hens receive funny names so much better than a dog LOL. Yay! First eggs are so exciting!My daughter loves her chickens as members of the family too. We call it ‘watching chicken tv’ as she spends so much time observing them. Congrats! We just started getting eggs from our hens a few weeks ago! I just posted about them today! We love our backyard flock. Hope the new ladies settle into their new home. Good luck! Everyday when my 5 year old goes out to check on the chickens after school she is SSSSSOOOOOO excited about each and every egg she finds! And so are we! What a great story!